Summertime is almost here which means that the pesky little mosquito is getting ready to start biting once again. While you can load up on natural mosquito repellant it is not always easy or practical to keep yourself sprayed all the time. Instead, try using some of these natural plants that put off subtle odors that will dissuade mosquitos from coming anywhere near you or your family. This plant is perfect for a hanging container around a porch or patio to keep the flying pests away. Not only does it have beautiful flowers but it will also help deter any mosquitoes from bothering you. This is a great way to avoid chemical sprays and still enjoy the outdoors! I love rosemary! Not only is it great in for helping me think and remember more clearly but it is a beautiful addition to my herb garden. 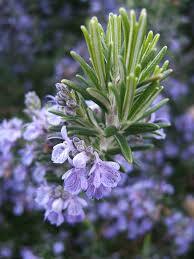 Lots of plants have their own natural guard against unwanted bugs and rosemary is one of them. This plant, which is great to when cooking salmon, will attract butterflies while keeping away those annoying mosquitoes. This cute little flowering plant is perfect to use as a ground cover. While attracting the beautiful butterflies it acts as a natural repellant to mosquitoes. Plant it along your flower bed to help keep the bugs away and then add it to some of your favorite fish dishes. While eating garlic won’t help much in the fight against mosquitoes you can plant it around your garden or home to help keep the mosquitoes away. Garlic is a very healthy plant that tastes great while acting as a natural antibiotic substance that both boosts your immune system and helps to fight off infection. Pretty much anything from the mint family is great at keeping away mosquitoes. 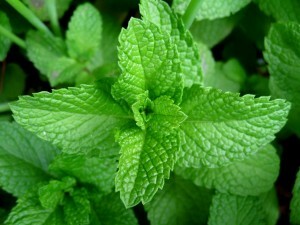 You can grow it around your home and then use it to make your own homemade bug repellant. Something about the smell and taste of this plants makes bugs want to stay far away from it. For some reason if you do get bit, having mint around is useful as a homemade bite relief treatment. Simply grab a leaf and rub it on your skin for best results. 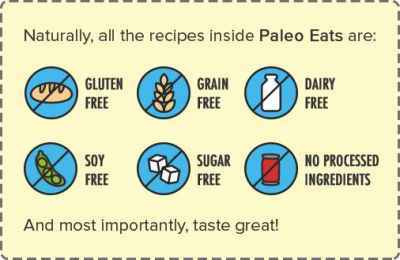 You can also add it to drinks or homemade desserts for a fun minty treat. 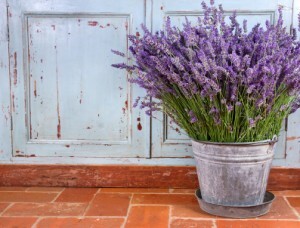 Lavender is a great smelling flower that is known for its naturally calming affects. If you want to destress after a long day at work then Lavender may be the perfect thing for you to use as an herbal tea or a in the form of an essential oil. This in a great plant to keep in your garden because it keeps a lot of pesky bugs away such as the mosquito. Want some protection from mosquitos and fresh herbs for dinner? Then you need to pick up some basil. 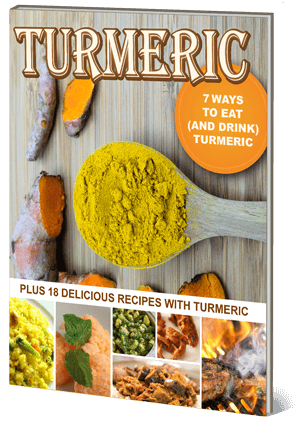 This great tasting herb is great for cooking, healthy for your body and will keep the bugs away. Since there are many different types of basil you might have to experiment in order to find the right type for your garden. 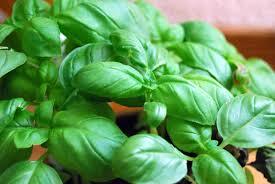 Experts say that the lemon or cinnamon basil is some of the best flavors to keep the bugs away. 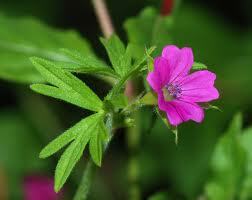 If you are new to growing plants this is a hardy plant that is very easy to grow and keep alive too. 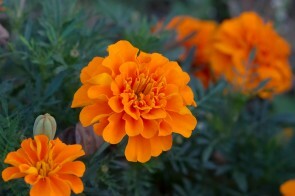 Marigolds are a beautiful hardy flower that will come back year after year. It is a great choice for keeping away mosquitos and if you have an allergy for bees it will also help create a barrior against them too. It puts of a scent that these bugs cannot stand and would rather go to a different yard rather than fly over some marigolds. I recommend using them to create a wall around your yard or porch area so that you can enjoy the outdoors while keeping a strong forcefeild against these insects. Not only will your cat be thrilled but you will be able to keep mosquitos away with this plant. Back in 2010 a study was done which found that catnip is 10 times more effecive than DEET when it came to keeping bugs away. Planting it around your home and yard will be a great way to add to your protection. Just remember that this plant does attract cats so you may want to plant it away from your garden so they don’t walk all over it. 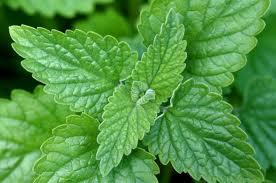 This plant is a memeber of the mint family making it a great choise for keeping mosquitos away. It is very easy to grow and bees love it. 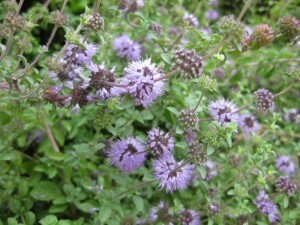 This plant is strong enough to make it through drouts and can grow in both the shade and the sunny areas of your yard. 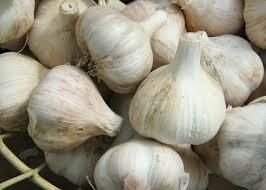 Experts also recommend confining it to a pot as it can spread quickly and take over your garden. 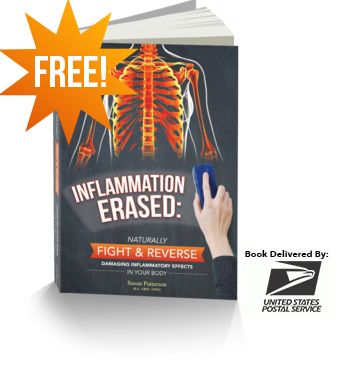 You can also use this herb medicinally and in teas. 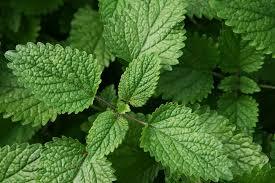 This plant may be listed last but it is probably one of the most powerful of all of the mosquito repelling plants. 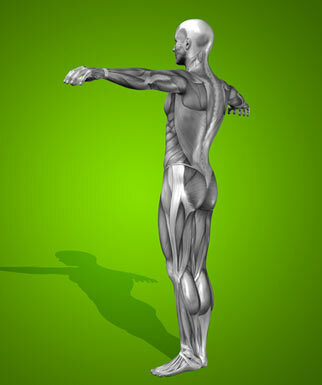 Citronella is used all the time in home remedies and treatments for keeping away bugs. 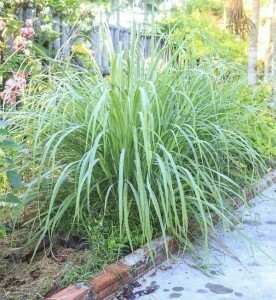 This plant is actually a tall grass which can get up to 5 or 6 feet tall if you let it. Citronella is very easy to grow and puts off a smell that masks other scents, such as the scent of humans, which helps to keep mosquitos away. Just imagine doing a row of these along the edge of your yard. This would keep the bugs out while providing some privacy from the neighbors. Let us know in the comments below what you like to use to keep the mosquitos away!